AV for You provided Audio, Video and Staging Rental Equipment for a Parleview “Connect: Culture, Cuisine, Canada” event at the Machine Shop in Minneapolis, MN. 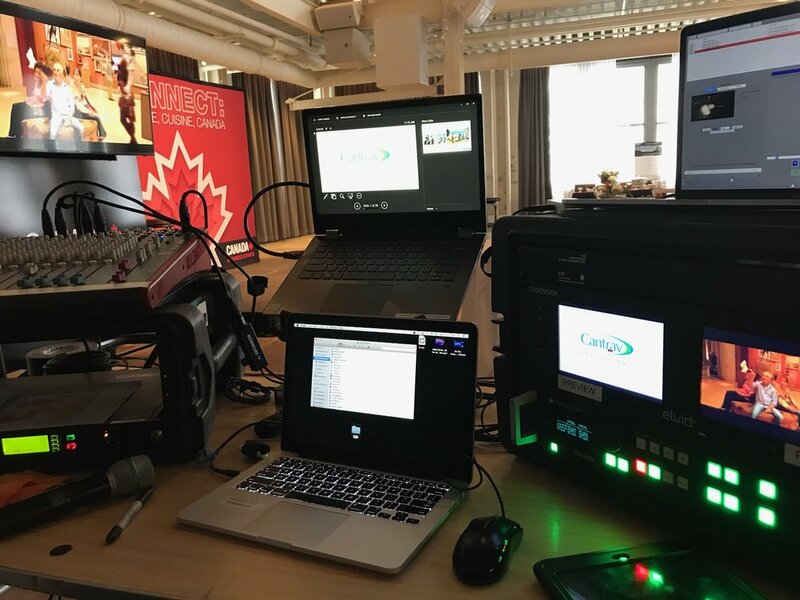 For audio rental equipment we used our Shure Wireless UHF-R Combo Microphone Kit with Handheld and Lavalier and Allen & Heath Zed 18 Channel Mixer for clear dependable audio at the event. For video rental equipment we set up two Samsung UHD 65” Monitors on Chief Rolling Stands. We used our Analog Way QuickVu Video Switcher along with a Macbook Pro for switching between three videos and a looping video shown on the TV. For staging rental equipment we constructed an 12’ x 8’ stage using six of our 4’ x 4’ black stage decks and stage skirting.